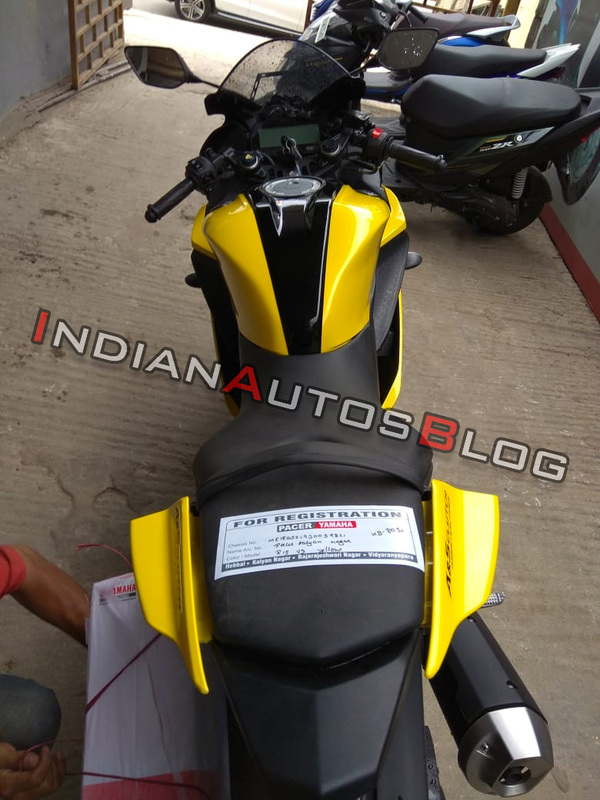 Yamaha R15 V3 has been spotted in a Yellow shade in India, later clarified as a dealer level modification through careful wrapping on the body parts. 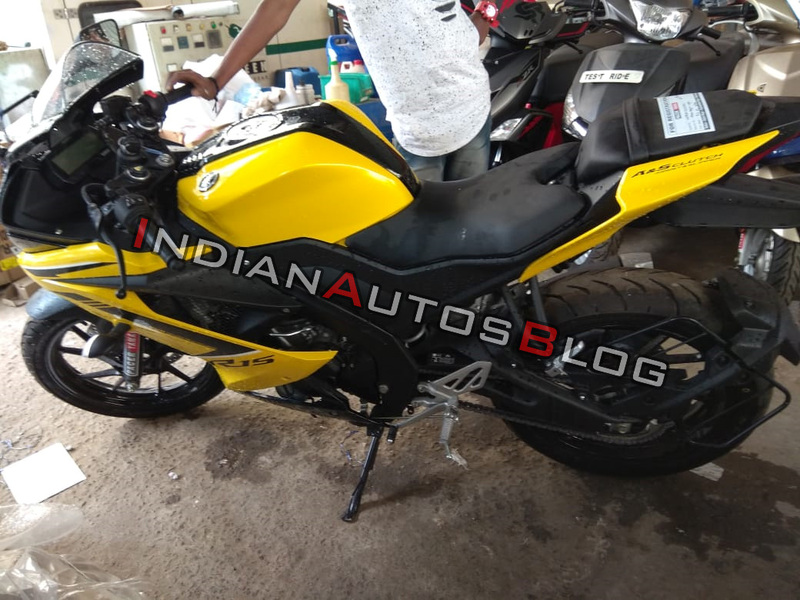 Yamaha is yet to offer a Yellow R15 V3 in India, seen first on the Indonesian spec model. 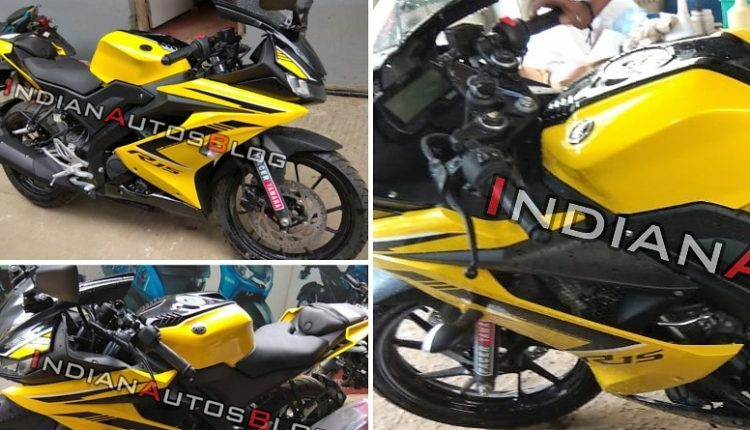 The new paint scheme for R15 V3 is not under any official plan as Yamaha is planning to bring ABS into all 125cc+ bikes before April 1, 2019. The current lineup consists of Racing Blue and Thunder Grey shade. 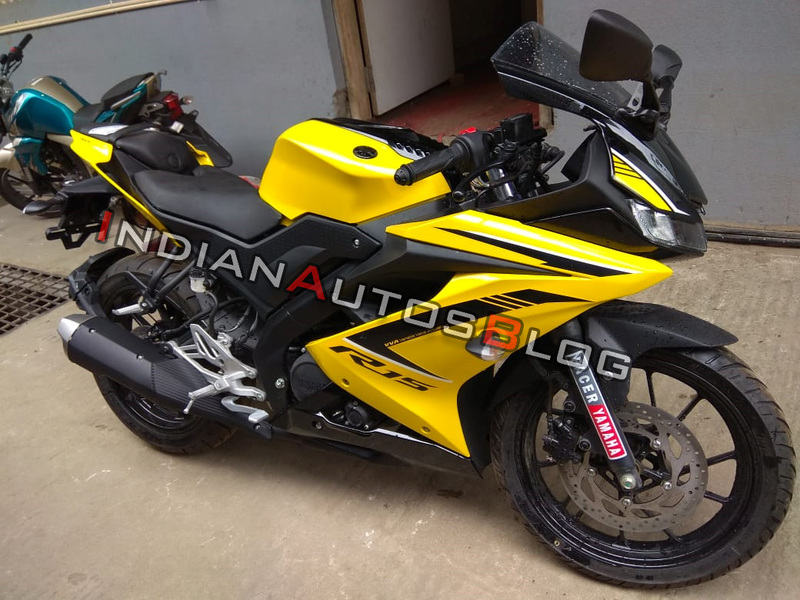 This typical version was seen at a Bangalore dealership. 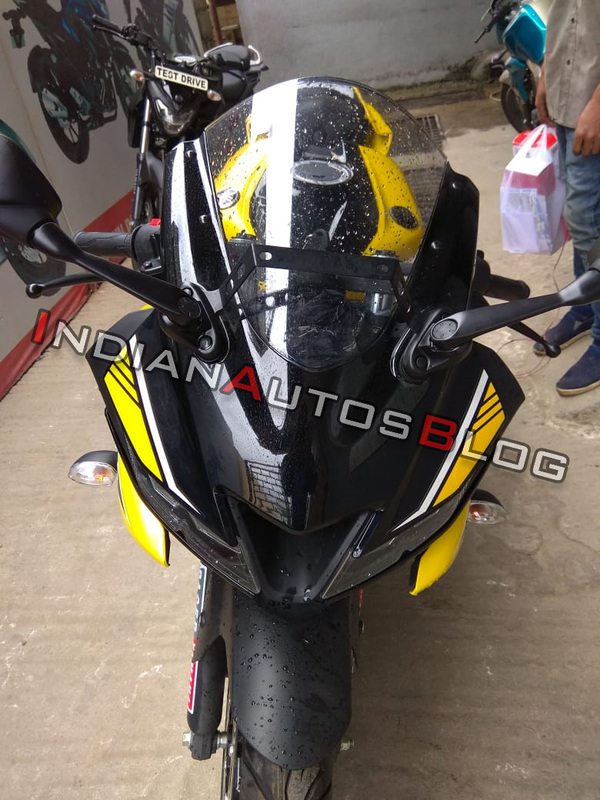 The front comes with black fascia with yellow inserts while fuel tank also flaunts similar theme. 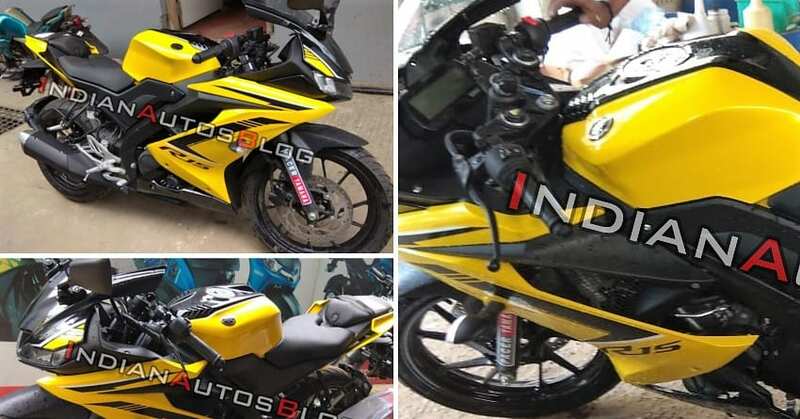 The sides are yellow and center section is finished in gloss black. The rear winglets are also finished in yellow shade. 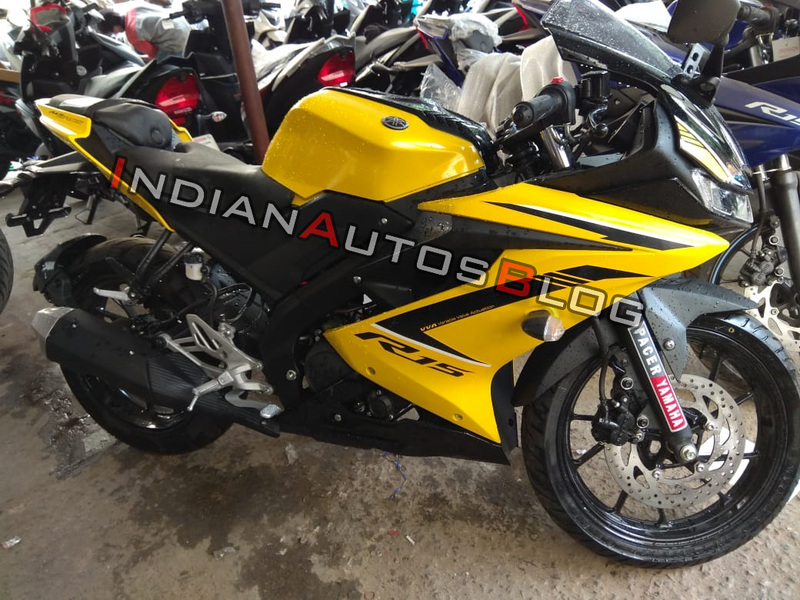 The changes are purely cosmetic and may not result in warranty issues, accept for the paint. 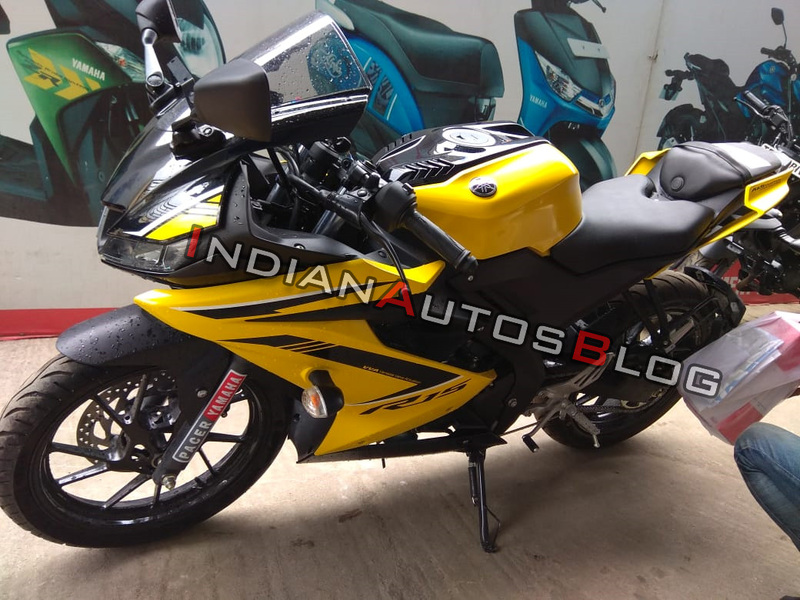 R15 V3 is powered by a 155.1cc engine, producing 19.3 HP of maximum power.